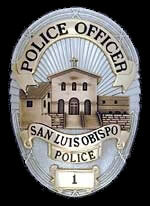 The city of San Luis Obispo completed a year of negotiations on employee salary concessions by agreeing to a new contract with the Police Officers Association. Police union representatives agreed to a four-year contract consisting of a 2 percent pay cut in January 2013 and another 2 percent cut in July 2014. The Police Officers Association also agreed to a restructured pension system. Police officers will now pay 3 percent more in employee contributions to pensions costs, and the city will enact a two tier system such that new police hires will receive lower pensions. Union representatives also agreed to forego cost of living increases for the remainder of the contract and to eliminate the uniform allowance officers receive. By reaching a deal, the city and union ended an impasse declared in June, and the city completed negotiations with all of its employee groups. The city managed to achieve its goal of $3.1 million in employee salary reductions, a 6.8 percent cut in pay per worker. When the slackers and complainers here face the gun weiding nuts on their own is when I will not support the police. The GRIPERS gripe about unions. Let these BS’ers get along without protection ! I expect that if I face a “gun wielding nut.” it will likely be on my own. Police can’t be everywhere — or even most places — unless they expand to become an essentially totalitarian militia. I think that unions have a place in society but there should be limits to the power of public service unions to accommodate fiscal sanity. As for wages and benefits, they are paid well by my standards (small, blue-collar businessman). The demands of their jobs are enough to justify the wages IF they are well-trained, well-supervised and conscientious about their occupation. Unfortunately, too many of them aren’t. Cutting their compensation seems to be the only way to get the message through to police their own ranks since they are either immune to public criticism or fight it instead of delivering reform. SLOPD officers are paid more than LAPD officers. That’s simply wrong based on the demands each faces in their day to day work lives. Stop whining. The SLOPD is grossly overcompensated and they are going to continue to feel pain and disrespect until things are made right. What “protection” are you talking about? The “protection” given to the late Deirdre Crowley by the SLOPD before she was recently killed? Tell you what. Let’s slash the SLOPD in half and issue concealed firearm carry permits to those will to undergo training and prove their proficiency with using a firearm. I would feel a whole lot safer facing “gun wielding nuts” if I was armed versus waiting for the SLOPD in one of their cartoon cop cars to arrive. What many people do not realize is that these people pay NOTHING into Social Security so they are already 7.2% ahead of private sector employees. Moreover, they have paid little if anything to their pensions despite making salaries far above the median income of SLO city residents. People still want to live here and a government job is the best possible scenario – live in a great place, make a fantastic salary, terrific benefits, paid pension, automatic raises, family-friendly employer, and never get laid off. What a racket. question the real reason for the proposed 1/2% sales tax? Answer: To pay for increased salaries for our ‘underpayed’ city employees. First of all, is this a GOVERNMENT pay cut? I.E. instead of getting 10% more, they’re going to get 8% more, thus a 2% “cut” – or is this a REAL cut, as in “you made X, next year you’re making X – 0.02X…” (sorry for the math) as in really less than last year? I never, NEVER trust government math or numbers. Ever. No kidding, Roy. Especially since–in the midst of horrific planned budget cuts to the California Parks– an Audit miraculously “found” $54million. How about the Police officers pay 100% to their pensions and like the private sector the city put in 3 to 8%, and change the system to a 401K? maybe then the people in the city could have a chance. No 401K’s. That is a scam dreamed up by Augusto Pinochet’s (you know, overthrew President Allende in Chile and installed his own dictatorship; during his regime he slaughtered over 10,000 citizens) Minister of Labor. It nearly bankrupted Chile’s pension system. This Pinochet protege, Jose Pinera, a VERY good friend of GWBush, who sold Bush on his retirement scam, continues to ply his pension-investment scam to countries, cities…whomever will book him. Oh, he also belongs to one of the huge D.C. neocon think tanks–the name escapes me now. Here is a Mother Jones article about this retirement scam. England really got taken by it. I can’t wait to see this contract put up on the City’s website. The highest paid police officers in the State of California have agreed after one year of stalling with the City to give up a pay cut of 2% in January 2013 and 2% in July 2014 and why was the amount of the “large contribution” to their pension not listed. For them, how large is large. These cuts will save the City $632,000 but not until July 2014 – about the time the next Sales Tax increase will be up for a vote again… How convenient! Also, I would like to hear from the City if the Police union delayed (forgo) the cost of living increased due through December 2015 or if they actually gave up these raises. Knowing the Police union they will be due these increases going back to the time they were due.